5. 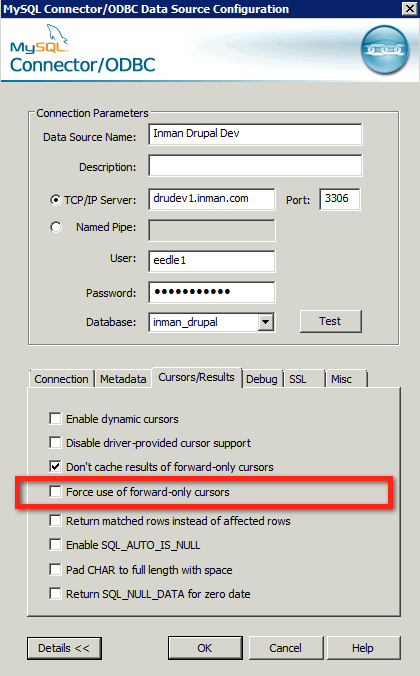 You receive the error "Commands out of sync; you can't run this command now"
To solve, uncheck the Forward Only Cursor option in the OBDC options. Whoa. I’ve been working with other technologies for quite a while and it was with a jolt that my eyes popped open seeing the acronym ODBC. It seems ODBC is still going strong, eh?